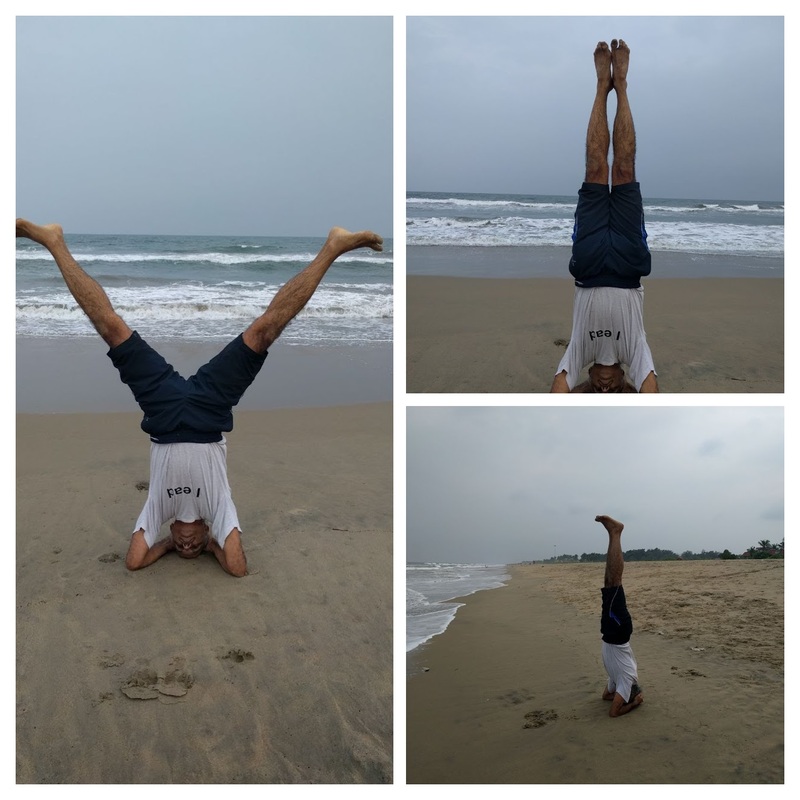 I had been wanting to do this for a while.. got a chance today. 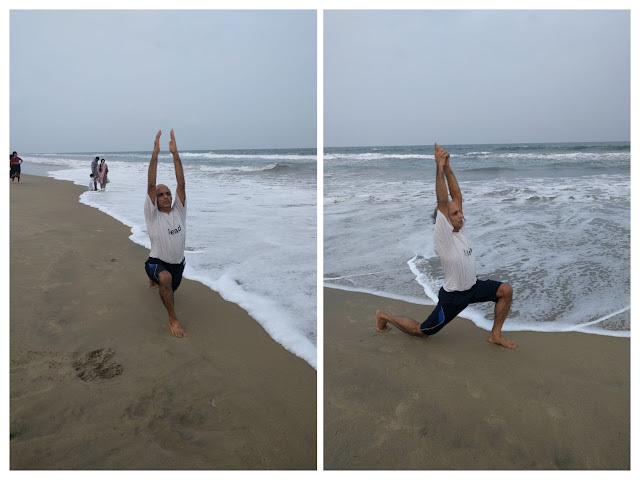 Thoroughly enjoyed the session, wish had done more..
Sirasana - Doing this facing the ocean was tougher than doing it facing west. It has got to do with the slope towards the water.